Select from one of the world's largest inventories of pre-owned hydraulic c-frame presses. Types: Gap Frame Presses, OBS Presses and more. Manufacturers: Denison Multipress, Hannifin, Dake, Greenerd and others. At Kempler, we're looking to buy your surplus denison, multipress, and all other hydraulic c frame presses. Sell used machinery to us and get cash for your used gap frame hydraulic presses. 6 Ton Roberts Ramlock Air Press, 3.5" str., 12" DL, 20" x 11.5" bed, 1985, #19306. 8 Ton Gap Frame, 8" str., 9" DL, 16" x 8" Bed, 7.5 HP, #21808. 12 Ton Neff, 23" str., 24" DL, 22" x 41" bed, 1992, #22864. The C Frame Presses on this page are all hydraulically operated. If you are in the market for a mechanical punch press, please visit our OBI Punch Press Page. Since opening our doors in 1962, Kempler Industries has bought and sold more C Frame Hydraulic Presses than almost anyone in the world. 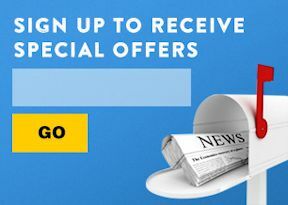 As the industry leader in Used Hydraulic Press Sales, Kempler has become the nation’s leading expert on surplus hydraulic presses of all types including 4-Posts, H-Frames, Molding Presses, Hot Platen Presses, Die Cutting Presses. Kempler is the number one source for buying and selling hydraulic presses. Do you have a surplus Gap Frame Press? We are C Frame Press Buyers! 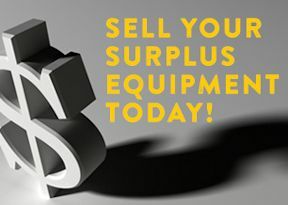 Contact us to learn about all of the options we can provide you to liquidate your surplus machinery today. Kempler buys surplus machinery for cash. We also offer a consignment service where we can try to sell a machine off of your floor. Whether you have one gap frame hydraulic press for sale, or an entire plant that you need to liquidate, we can help. Kempler can run a hydraulic press auction for you. There are a few different types of C Frame Hydraulic Press, there are the standard type featured on this page. Those standard machines are sometimes referred to as an OBS Hydraulic Press. There is also the Gap Frame Press with Rotary Tables. Follow this link to see a list of all of our Gap Frame Rotary Presses. Furthermore, there is the Gap Hyd. Press with longer a bed that are designed for straightening material. Find those machines on our Straightening Press Page. If you have any questions about the kind of press you are looking for, don’t hesitate to contact our highly experienced sales team. Call or email us today and we will help you determine the type of Hydraulic C Style OBS Press that is right for you. If we don’t have what you need, we’ll find it for you. 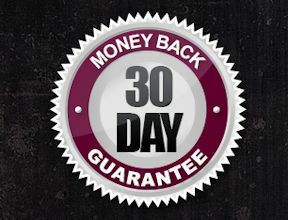 Every machine in our inventory is guaranteed to be in good running condition or it is returnable within 30 days for a full refund. In the case of a Hydraulic Gap Press, we will not only test the machine under power, but also under pressure. Our technicians have seen thousands of hydraulic presses go in and out of our doors. Let us help you take the worry out of buying used press machines. Ask Around, Kempler has one of the best reputations in the used machinery industry and when it comes to Used OBS Hydraulic Presses, there is nobody in the country who is more trusted than Kempler Industries. Would you like to visit our showroom? Call us and let us know that you would like to see some of our Gap Frame Presses in person and under power. Conveniently located just minutes from Chicago’s O’Hare Airport, we have 80,000 sq. ft of warehouse space and we have one 40,000 sq. ft. building dedicated to hydraulic presses. Can’t come see us in person? Still want to see a press or other machine under power? Ask if we can make a video of a Gap or C Hydraulic Press in action. Our technicians can show you exactly what you need to see and answer any specific questions you might have about a C Frame or Gap Frame Hydraulic Presses. Kempler carries all manufacturers of C and Gap Style Hydrolic Presses. Kempler has 100’s of Denison Hydraulic Presses. Also known as Denison Multipress and sometimes just Multipress, Kempler has as many Denison Presses as anyone in America. We also have Hannifin Presses, Greenerd C Frames, Dake Hydraulic Presses and many others. We are also looking to purchase all manufacturer’s including Cincinnati OBS Presses.